Why Custom Patches Are Awesome? Custom Made Patches are awesome. It’s can be used in many different ways. Some may not even have thought about it. We are here to introduce some different use way with different style patches. You will know how awesome they are! Creating name patches will be very funny. For example if You buy 10pcs name patches all with different names and one month you want to be Leo, but the next month you want to be Helen. You can totally be Leo and Helen! Just stitch the “Leo” patch onto your shirt and when the end of the month rolls around, unstitch it and replace it with a “Bob” patch. It’s that easy! Name Patches also can looks cool. You can add your name or special logo on it. You also can add some hard words to read fonts. It’s will adds a little mystery for your custom patches. Sometimes, name patches can be used to identify your luggage or your kids backpacks. 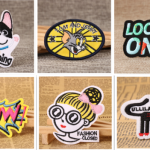 Funny patches is a great way to show the world your sense of humor. Just tell us what you want the patch to say, we will patch it for you and others that you will love! For many people, funny patches are a great way to make the life getting more better. A little humor, even on a jacket, shirt or vest, is always a good way to start the day. Many other interesting patches are more targeted and often express the wearer’s perception of politics, gender or general life. Now, Children’s Day is coming. Ordering Funny Patches is also a good holiday gift for children. Biker Patches represent biker club membership, and there are different ways to set up your patches depending on the club or organization. 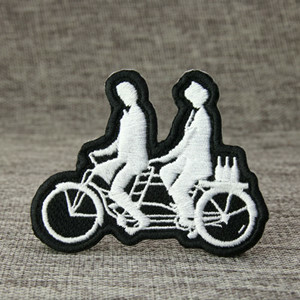 The cyclist club usually uses two patches to identify their club.. there are some styles of biker patches in club. such as title patches are used to identify the bikers position in the club. Memory patches are worn in honor of deceased members .Biker travel patches are used as mementos of places that have been visited. Here I just briefly introduced the effects of several different types of custom made patches. You can see how Awesome they are. We have more different types of custom patches. Such as embroidered patches, Iron On Patches, Police Patches, woven patches and more. 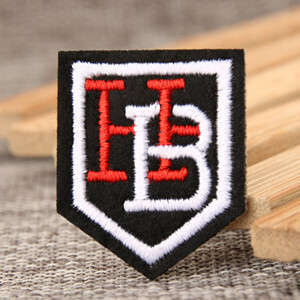 All types of embroidered patches can be used to cover up holes on anything from a biker jackets to jeans and backpacks. 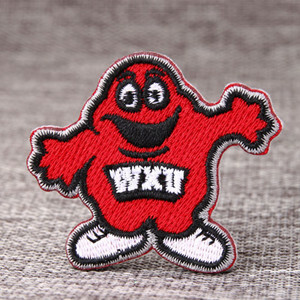 Design Your Own custom patches today from GS-JJ.Com. Our team at GS-JJ.Com is ready to help you get started. You can learn more about our products by visiting www.gs-jj.com. You can also email info@gs-jj.com or call 1-888-864-4755 toll-free. 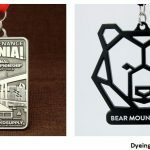 ← What should You Focus on When Ordering Custom Medals?